Your employees will never understand the importance of cybersecurity unless you educate them. Spending thousand of dollars for cybersecurity will not be enough if your employees cannot appreciate and practice it. 60% of small business stop within 6 months following a cyber attack. Moreover, IBM reports that human errors lead to more than 95% of the cyber attacks worldwide. Hence, you need to educate your employees about the outcomes of their activities. However, as traditional training has been not so effective, you need to use a tool that is interactive, engaging and (maybe)less known: Gamification. Must Read: Hidden Cyber Security Facts You Must Know! It is a method of using experience design and game mechanics to produce a captivating and encouraging educational experience. Gamification incorporates many elements from games and uses it in a non-gaming environment such as corporate settings. Though gamification was originally designed to aid children, it has been proved beyond doubt as a great learning technique in other fields as well. The technique has been used in training modules for military and classified agencies from 2008. Now, it is being considered as one of the best techniques to improve cyber security awareness in organizations. Ignoring many companies’ unwillingness towards gamification, it has been proven that it helps employees understand and adhere to cyber security policies better than any other method. Game of Threats by PwC is a great example of gamification in cyber security awareness. Other followers of the technique include Ford Motor Company, Salesforce, and Microsoft. Gamification improves employee awareness towards cyber attacks, especially for non-technical employees. Social engineering attackers majorly scapegoat non-technical employees. They ring them or send emails to them to acquire information about the organization. Eventually, they try to infiltrate organization’s systems. If employees are capable of tackling preliminary cyber attacks, security professionals can focus on more severe infrastructure attacks. Many countries are taking data theft seriously and hence imposing strict regulations to the defaulters. For instance, GDPR. Employees need to acquire the skills to at least recognize a possible cyber attack. 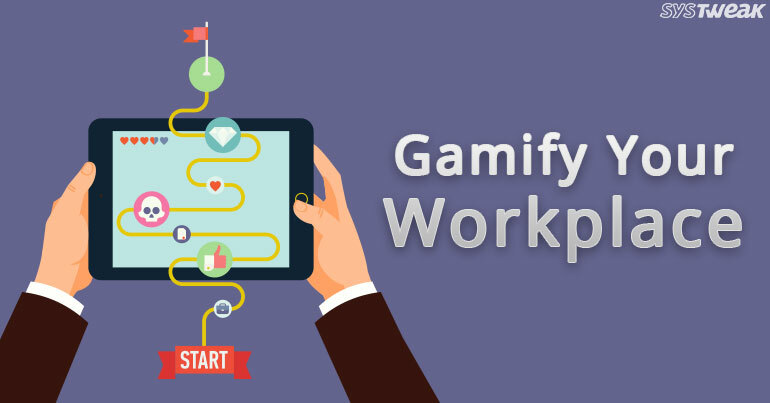 Gamification is the perfect method to educate your employees. Moreover, gamification also helps in bringing up a well-observed security culture. To begin, you need to have a content. It should enriching, goal-oriented and creative. Avoid dull presentations, confusing chart flows and too much technicalities. Keep it simple and to the point. Now, create an interactive material with the help of game mechanics. Plan a scoring system. Rewards and recognitions boosts employee participation. You can award them printable badges on consecutively adhering to the rules while sending emails. Further, employees with more number of badges can be incentivized for their continuous good behavior. You can also advertise such accomplishments in the company to improve participation. At last, always measure the effectiveness of game plan through cybersecurity assessments and regular audits. You don’t need to have an expensive gamification plan. You can avail computer games that do not burn a hole in your pocket. In fact, you can also choose board games that supply basic awareness about information security. The agenda is maximum participation from employees.